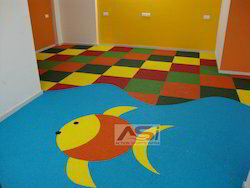 Our precious clients can avail from us an exotic and exclusive array of Rubber Flooring Service. Our experts use best quality material & methodology to process this rubber flooring keeping in mind the customer’s requirements. This rubber flooring is tested before dispatching to ensure its perfect free range from our side. In addition to this, our customers can avail this rubber flooring from us at nominal prices. 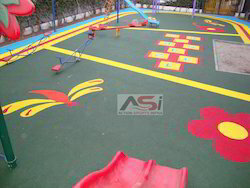 We hold expertise in laying of Rubberized Play Area that can be seen in Kindergarten Schools, Malls (Play areas) as well as in many shops catering to the product demands of kids. The offered EPDM / SBR flooring can be made available by us in a variety of attractive colours as well as designs to meet the vibrant colored finished look of our customers. 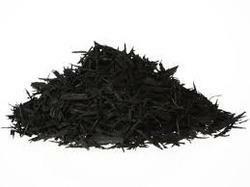 We are importers of high quality EPDM Granules in India. 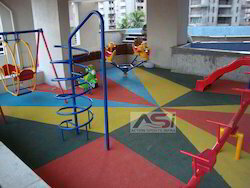 We offer a diversified gamut of quality approved Rubber Playground Flooring Service. We have manufactured this flooring mat as per the set standards of market by using best quality material. Additionally, our offered flooring mat is available from us in numerous customized options in accordance to the patron’s requirements. Our esteemed clients can avail this flooring mat from us within a given time frame. 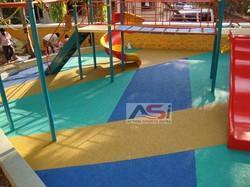 We are instrumental in providing our clients a comprehensive range of Rubber Play Area Flooring. The offered flooring is widely demanded among customers for its amazing finish & abrasion resistance. 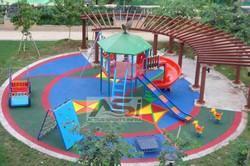 We also offer customization facility, for this flooring as per the choice of patrons. Note : Product price range Rs 50 to Rs 350 Per square feet. Looking for Rubber Floorings ?